Amazon is on a roll with monitor sales. 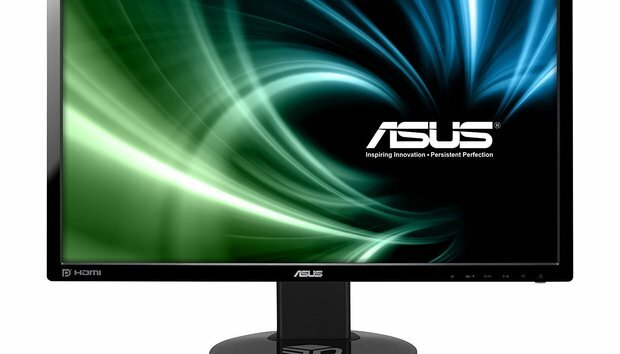 Following up its recent sale of a Dell 4K monitor, the online retailer is selling one of the more popular gaming displays at a great price: The Asus VG248QE is available right now for $205. This monitor first showed up at CES 2013 and has been a popular choice ever since it rolled out. The panel features a 144Hz refresh rate with a 1ms response time, which Asus says gives games “ultra-smooth motion” even during busy scenes. It also has Asus GamePlus, a function that adds crosshair and timer overlays—the timer is helpful for real-time strategy games. It also features Nvidia’s 3D LightBoost that makes the LED backlight brighter for 3D games, and it’s Nvidia 3D Vision ready. Both of these features were a bigger deal in 2013, but if you still sneak on a pair of 3D glasses in the middle of the night to play Battlefield 3 or Witcher 2, you’ll be happy the features are there. The back of the monitor packs a DisplayPort, DVI-D, and HDMI. It also has two 2-watt speakers built-in. The stand offers several handy features including swivel, pivot, tilt and a height adjustment that can add about four inches to the display. Is the beloved Psion handheld PDA due a revival?